All-rounder Chris Morris has been recalled to South Africa's limited-overs squad for the tour of Australia, which begins on 4 November. “He is the leading wicket-taker in this competition [Four-day Franchise Series] to date and also adds value as a batting option in the lower-order," pointed out Linda Zondi, convener of the Cricket South Africa National Selection Panel. JP Duminy, who the led the side in the ODIs against Zimbabwe, will be unavailable for the Australian tour as he undergoes surgery for the injury to his right shoulder. Opener Hashim Amla is ruled out too, as he has been given time to fully recover from the finger tendon injury he picked up during the Caribbean Premier League. “With Wiaan Mulder ruled out at the moment through injury we need to look at our resources as far as batting all-rounder options are concerned, and Dwaine, in particular, fits into this category," Zondi said. "We have also lost a lot of experience in our specialist batting order through the injuries to Hashim Amla and JP Duminy, and Farhaan gives us another experienced option in the top order." 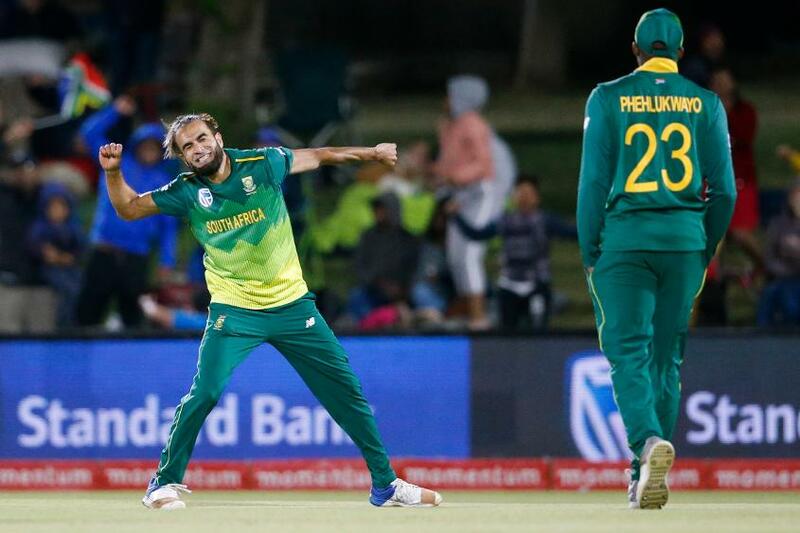 Imran Tahir wreaked havoc against Zimbabwe, picking up 15 wickets in just three ODIs and one T20I. The 50-over series against Zimbabwe was also marked by the white-ball return of Dale Steyn, who shone with the bat as well as the ball. The two have retained their places in the squad. “We feel that we got quite a lot out of the Zimbabwe series, notably the form of Imran Tahir and the return of Dale Steyn to his very best," Zondi said. "Heinrich Klaasen took his chances well both with bat and behind the stumps and the same applies to a lesser extent to Reeza Hendricks in a series in which batting was not easy. We are confident that our Vision 2019 strategy for the ICC World Cup is progressing along the right lines."